While working on the INGRES Relational Database Management Project at the University of California at Berkeley, Allman created delivermail for the ARPAnet and sendmail, one of the first Mail Transfer Agents on the Internet. Both were distributed as part of the Berkeley Software Distribution. For many years, sendmail ran on most Internet mail servers, and it remains a major player. Allman was the first to make Internet addresses highly configurable by rewriting rule technology. With his Request For Comments email standardization work and practical implementations, he had a major influence on the email transport technology used today. He also created syslog, the de facto standard logging mechanism used in nearly all open systems and peripherals. 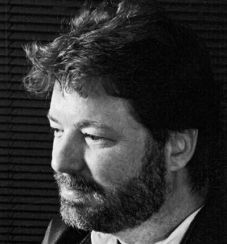 After leaving UC Berkeley, Allman worked at Britton Lee (later Sharebase) on database interface software and at the International Computer Science Institute on the Ring Array Processor Project for neural-net-based speech recognition. He returned to UC Berkeley at the Mammoth Project, building department-wide research infrastructure for the Computer Science Division. He then founded Sendmail, Inc., an email infrastructure company based on his work at Berkeley. After leaving Sendmail, he worked at SQLstream on streaming data analytics. He has since returned to Berkeley, working in the Swarm Lab on open platforms to support large swarms of sensors and actuators for ubiquitous distributed computing (sometimes called the Internet of Things). Allman is a member of the governing council of the Association for Computing Machinery (ACM) and a founding member of the ACM Queue Editorial Board. He is a Distinguished Member of ACM and was awarded the Telluride Tech Festival Award of Technology. He earned his B.S. and M.S. degrees from UC Berkeley in 1977 and 1980, respectively.